You are buying one single 36mm bulb. This bulb is used to replace number plate lights, cargo lights, footwell lights and door lights in European cars. Please check your existing bulb to make sure it is about 36mm long. In BMW you will need to take out the light fitting, slide the back off the light fitting to exposed the bulb. This should fit the number plate lights in the following BMW. I have not tested them all it is just a guide. 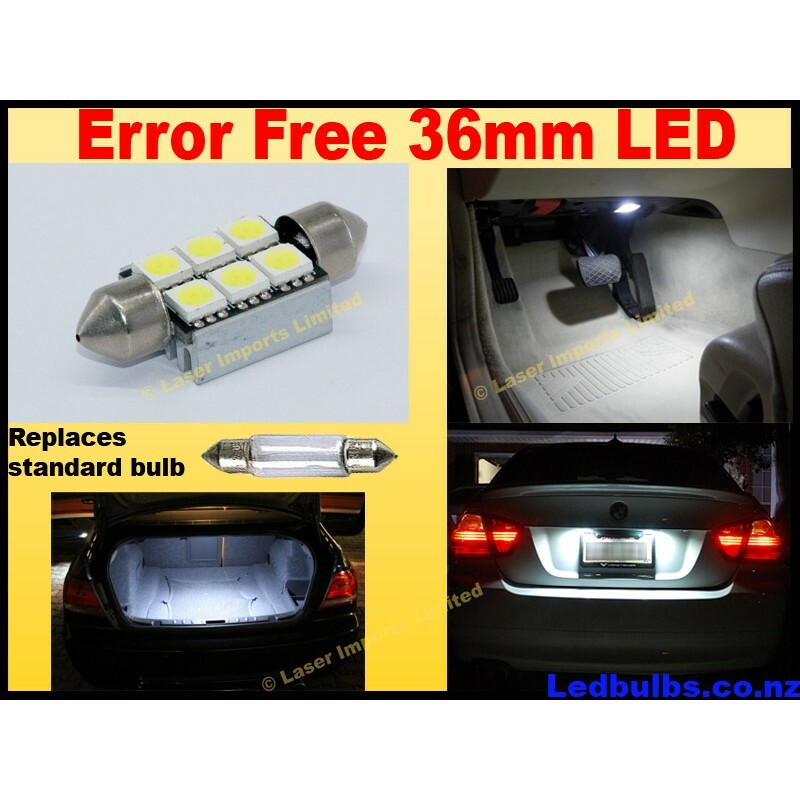 It should also fit other makes and models but please check your existing bulbs first. Note you will need two bulbs to convert the number plate lights. Table and description copyright Laser Imports Limited.